At stake is the European Accessibility Act, already some seven years in the making, and set to make the 28-member bloc an example to the world in improving the lives of people with disabilities or reduced mobility (PRMs). As often, however, the devil lies in the detail – with activists fearing the act may be diluted and industry groups warning that the well-meaning legislation lacks some cost-benefit analysis, and could even hinder existing attempts to integrate services for people with disabilities. Awaiting the outcome are an estimated 80 million people with disabilities across the EU, and an additional 190 million elderly people set to benefit due to the likely knock-on positive affects for those aged 50 and over. The origins of the Act date back to 2010, when the EU and most of its member states ratified the United Nations Convention on the Rights of the Persons with Disabilities. 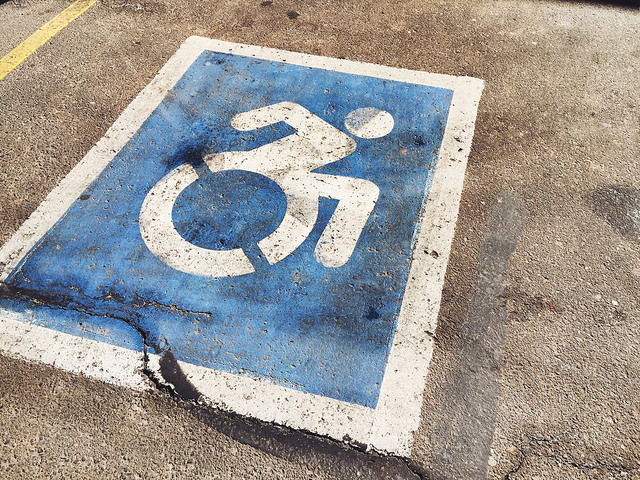 The European Commission tabled its Accessibility Act five years later, in December 2015. Last week – cue the protests – it appeared for the first time before the European Parliament’s Internal Market and Consumer Protection (IMCO) Committee, under the watch of Danish rapporteur Morten Løkkegaard (ALDE). While the Act does not intend to cover every service and product available in the EU, it does put the emphasis on access to public transport (air, bus, rail and ferry), e-commerce, ATMs and ticket machines, as well as phone, banking services and computer hardware. The Commission acknowledges that there will be costs for industry. But it argues that “the potential economic benefits are expected to be higher than the potential accessibility-related costs for all economic operators”. But the International Organisation for Public Transport (UITP), which represents public transport authorities and operators worldwide, queries whether a proper cost-benefit analysis for all sectors has been done. While UITP welcomes the act and its aims, it believes some economic operators will benefit more than others. “The Commission’s proposal, for example, means that all [public transport] ticket machines would have to be replaced within the six years suggested by the act,” said Anne-Laure Le Merre, of UITP. The proposed Act also fails to anticipate the huge traffic flows that large train stations need to deal with, Lemerre said. In big cities like Paris or London, train stations may see as many passengers in one day as a small airport would process in an entire year, she pointed out. 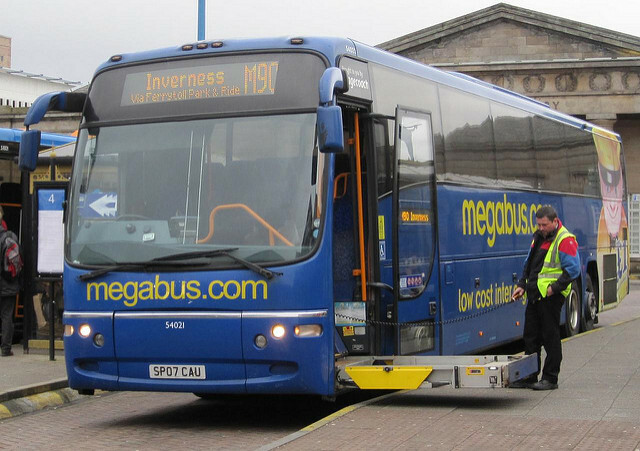 “Disembarking a passenger using a wheelchair can take up to five to six minutes, while a typical platform stop might only be 10 seconds,” she said, adding that this could have the unintended affect of hindering more passengers than it helps. Lemerre insists, however, that people with reduced mobility should not be seen as obstacles to mass transit. “The aim is to make sure public transport networks are open to everyone in society,” she said. “The ability to respond flexibly with local initiatives is essential if we are going to deliver the services all our customers expect,” she stressed. She also points to ‘soft’ options, such as more uniformed staff on stations to help passengers, as opposed to the simply ‘hard’ infrastructure solutions proposed by the directive. But the European Disability Forum (EDF), a body representing 100 associations for people with disabilities, worries that the Parliament is instead bent on watering down the directive. “We demand and believe that the EU needs a ‘real’ Accessibility Act,” said Yannis Vardakastanis, President of the EDF. “And that means legislation that means goods and services and the built environment,” he told euractiv.com. “My emphasis there is on the built environment, because if you have an accessible ticket machine, but there’s a few steps, it’s not ‘accessible’,” stressed Vardakastanis, who is himself blind. “The Americans did it years ago – the universal accessibility of the iPhone is proof of that – so why don’t we? It’s not an offer [of charity], it’s a business case, EU products will be sellable around the world. “The prize now is the scope, and the exemptions,” said Vardakastanis, referring to amendments MEPs are expected to introduce to modify the Act during their first reading in the European Parliament. A spokeswoman for EDF added: “The directive itself is, per se, good news. But it is limited and could be more ambitious. We had hoped the Parliament would strengthen it, as the parliament is usually closer to the people. Indeed, Brussels itself is mentioned in this context in one of the public petitions about the Act. 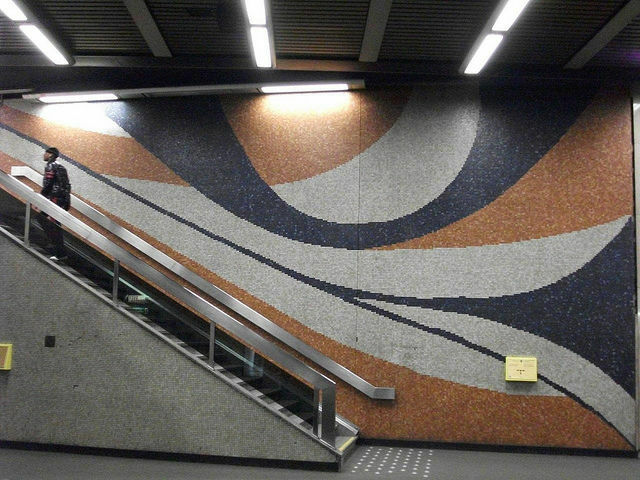 The petition points out that the Trone metro station, which serves the Parliament, along with Botanique and others, has no lift access, and poor facilities for people with visual impairment. There are at least seven MEPs with disabilities in the current Parliament. 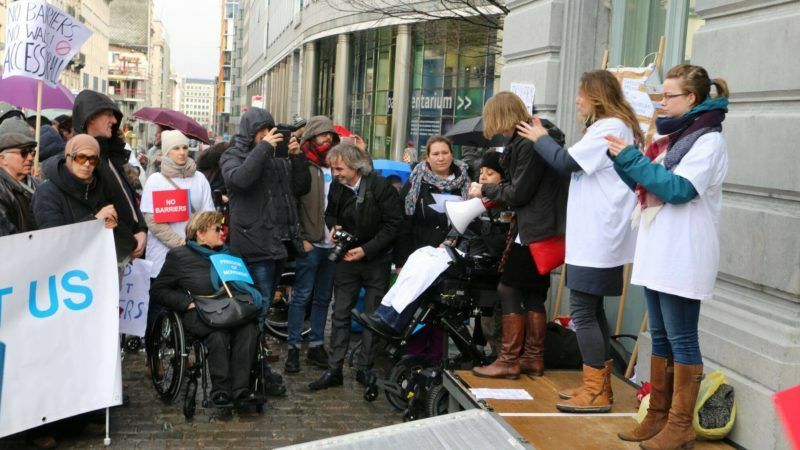 Although MEPs can make use of a car service, other people with disabilities in Brussels do not enjoy such privileges and won’t have access to Parliament using the metro service as a result. The immediate fate of the Act is now in the hands of Løkkegaard, who is thought to be sympathetic to the Act, but who is also seen as a business-friendly pragmatic who may be in the mood to compromise. “We all have a common goal: to make Europe more accessible and to significantly improve the lives of Europe’s 80 million people with disabilities,” the Danish MEP said after a meeting with the EDF, the European Network on Independent Living and the European Union of the Deaf.